March 19, 2019 by Laurie Leave a Comment This post may contain affiliate links, which means if you click on a link and purchase something, I may earn a small commission (at no additional cost to you.) See my disclosure policy HERE. 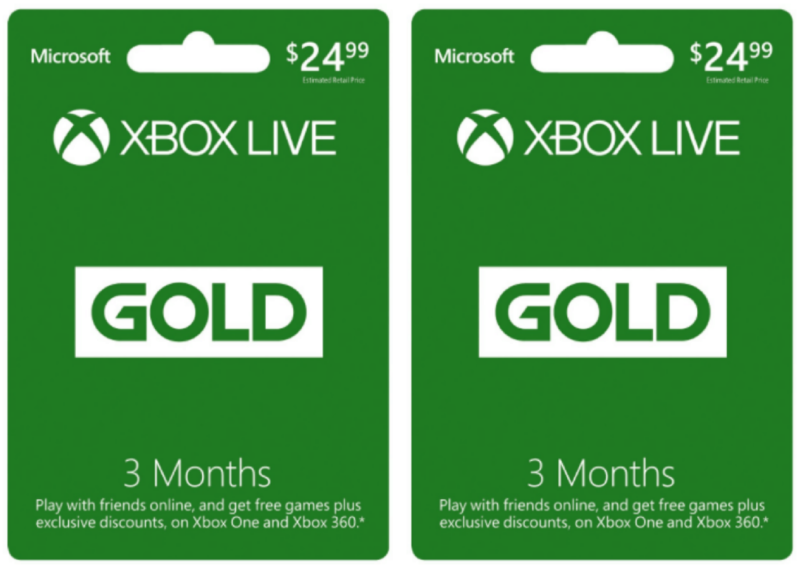 Right now at NewEgg.com you can score a 3-Month XBOX Live Gold Membership Card + an additional 3-Month Membership Card for $21 (shipped! ), no code needed! That's like getting 6 months for $21! (The free 3-month card will add to cart automatically). That would regularly be $50, so that's a nice deal. Might make a good gift, too! Find more top retail deals.